1. Open the MightyText android phone app. 2. Tap the triple dot icon in the upper right corner of the page. 3. 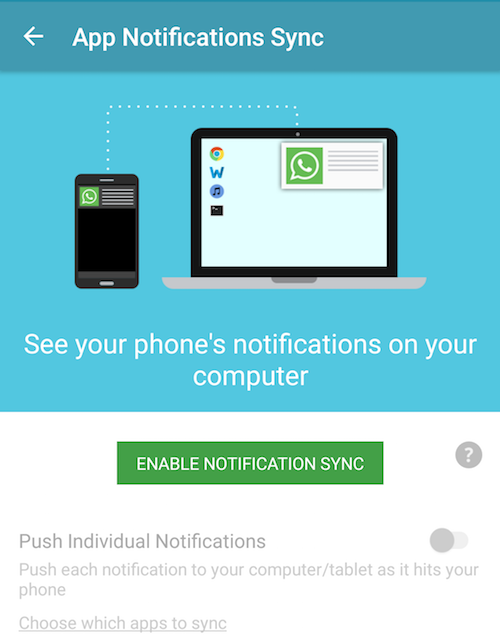 Tap App Notifications Sync. 4. 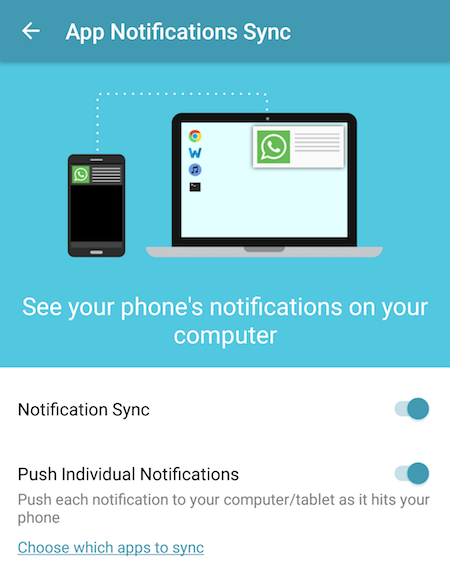 Tap Enable Notification Sync. 5. Now, you will see the Notification Access page. Enable the slider for MightyText and tap the back button to go back to MightyText. 6. 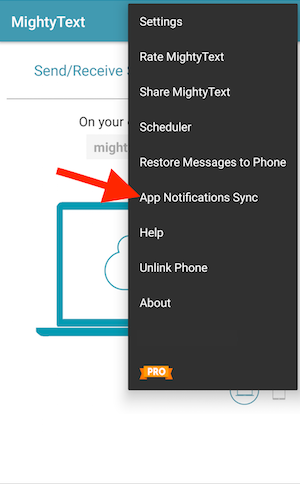 MightyText App Notifications Sync is now enabled. 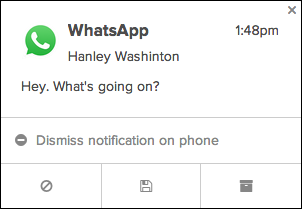 If the "Push Individual Notifications" setting is on, MightyText will display a notification in our Web App, Chrome Extension, or Desktop App each time a notification arrives on your phone.